Jael Marquette is working as one of two apprentices carving the columns for the Be?is Project. 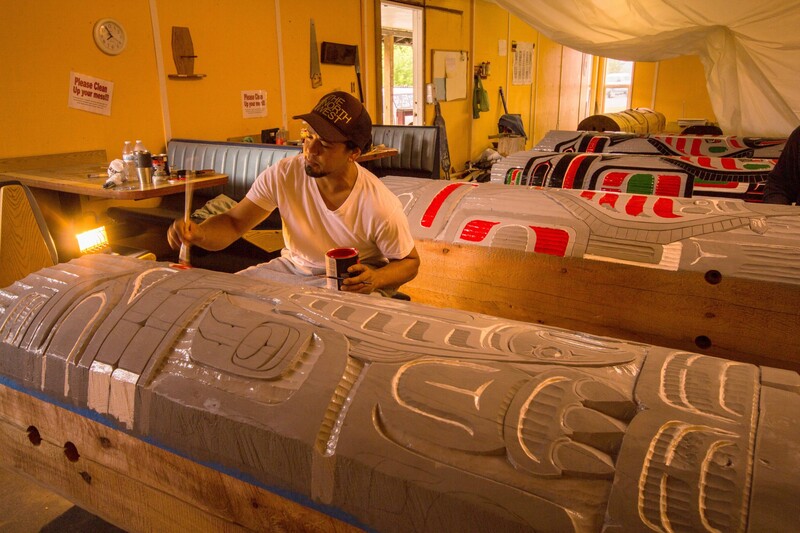 After carving many replica canoes and a mask he was excited to be included in this project and move on to carving in a style similar to carving totem poles. The only difference is that these columns will be supporting the roof structure of the beach house.